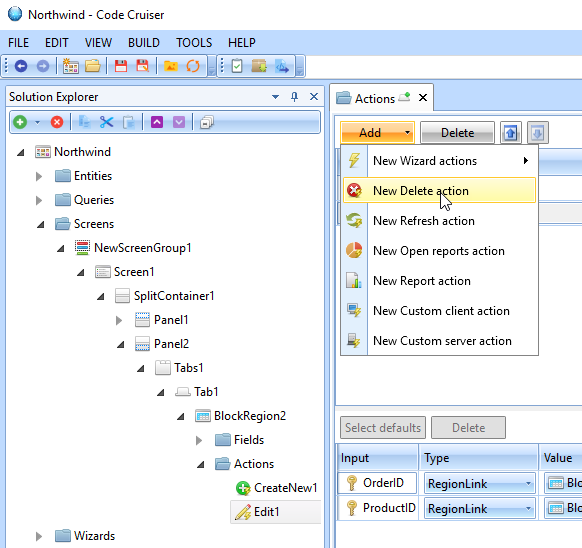 To able to add or modify data previously created wizard should be called. Wizard can be called by Actions. This of Actions as buttons, they can contain any logic not only showing wizard. 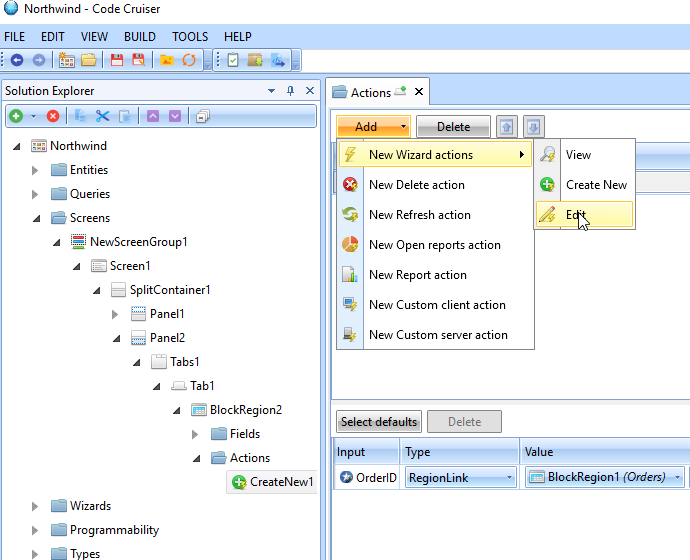 Select Action section on BlockRegion2 and press Add->New Wizard Actions->Create New. 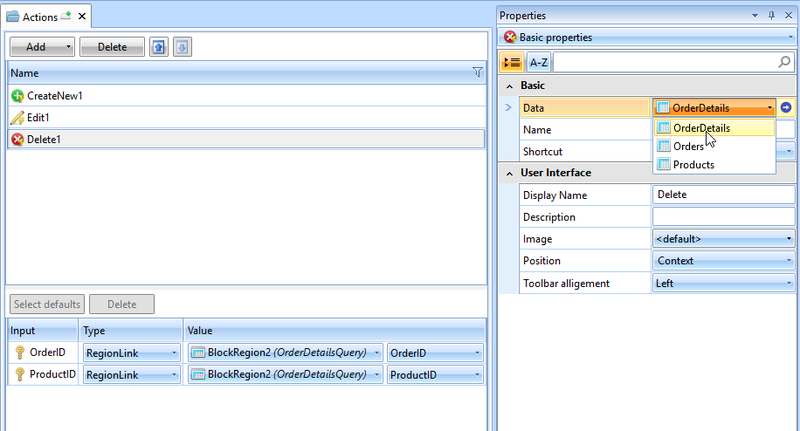 Select a wizard in properties. 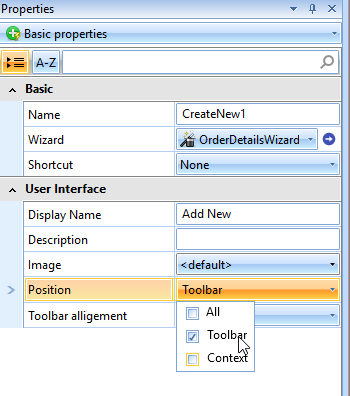 Set position to Toolbar. Since it is create action it is better to show it at top of the grid, not inside row (in the context). 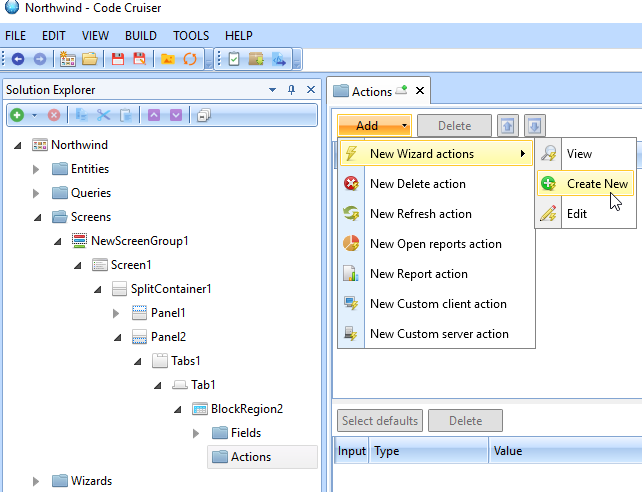 If create new record button will be in context only then user will fail to open a wizard with no records in the grid. Press Select defaults button. Since we are calling a order details grid we need to pass selected order (at top grid). 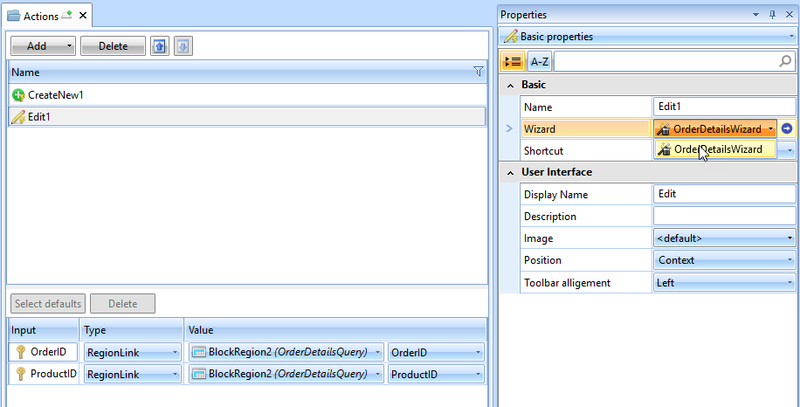 Select OrderID and press OK.
For Value select BlockRegion1 (Orders) and Id. Action for calling new item wizard is finished. Let's add Edit, Delete and Refresh actions. In properties select a wizard. Notice that two parameters (OrderID and ProductID) are added automatically. These fields represent a primary key, so this is why there are two fields. Select value as OrderID for the first and ProductID for the second. Thats it. Edit action is ready. Notice that we placed it in context (Position = Context), that means that this action would be available from each grid row. 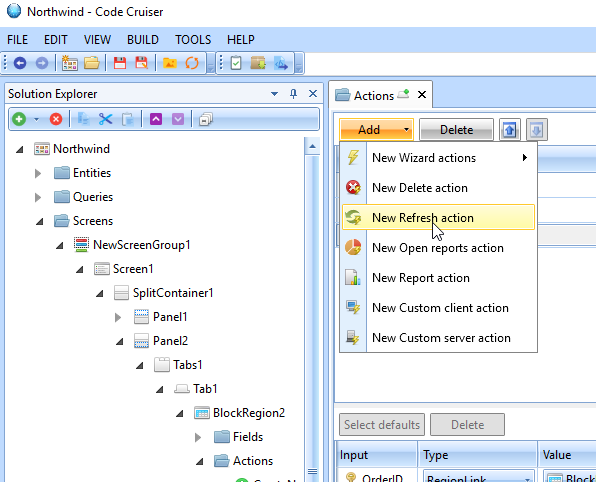 To add a delete action press Add->New Delete Action. In properties select Data Source as OrderDetails. Also fill in the parameters similar to previous action. Final step is to add a Refresh button. Set its position to Toolbar. Actions added in this chapter are Predefined Actions. 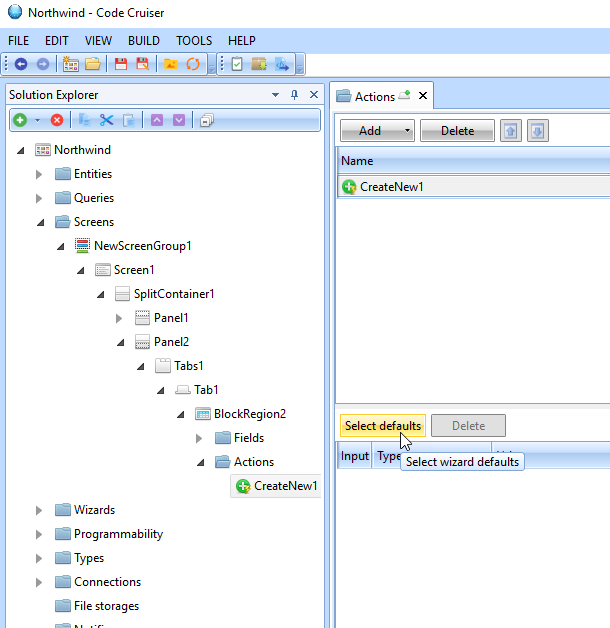 You also can add Custom Action by implementing any logic you want in Client or Server Action Services.